We’re always out and about so why not pop along and say hello? Do you love Burnham on Sea beach? Please help keep Burnham on Sea beach clean by joining in on a monthly beach clean. The ‘Friends of Burnham’ beach clean group are a group of friendly volunteers who enjoying keeping their beach clean for everyone to enjoy. Please bring warm clothes and appropriate foot wear. Children over 5 and accompanied by adults are welcome. All equipment will be provided. 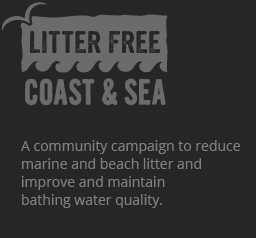 We are always keen to come along and spread the word about cleaner beaches and seas. We work in the Burnham catchment area so if you have an event (Food Festival, Dog show etc) we’ll be happy to come along and have a stall.